Digitalization remains at the forefront of pharmaceutical companies’ strategic business plans. Every year, vendors in the industry develop increasingly sophisticated and innovative solutions that continue to transform the way pharma companies operate. In some cases, such as with serialization, the push to transition from paper-based processes to digitized operations is being spurred by stricter regulations. Often, manufacturers are finding that new software solutions ensure regulatory compliance, efficiency, and speed — and simply make life in the pharma plant easier. Despite the vast benefits of digitalization, the pharma industry is still challenged by the amount of manual-based systems in use throughout the manufacturing process. These manual platforms can leave data open to manipulation and misinterpretation and are prone to human error. To better understand the pain points surrounding data management and software systems, Pharmaceutical Manufacturing, in collaboration with Biovia, recently conducted a survey of pharma manufacturers regarding their process data solutions. The survey found that 58 percent of respondents were still using Excel spreadsheets in some form to aggregate and analyze production process data. TEKLYNX CENTRAL CFR 5.0 streamlines the entire labeling process globally, resulting in improvements in production efficiency. The good news is that these numbers are improving, albeit slowly. A similar survey conducted by Pharmaceutical Manufacturing in 2015 found that just over 62 percent of organizations were using spreadsheets to accumulate and transmit data across the enterprise. Another sign of improvement: The 2019 survey found that 28 percent of respondents are in the midst of expanding the use of their informatics solution — a positive indicator for the industry’s digitalization efforts. Now, these various solutions are coming together to connect all parts of operations from the front office to the plant floor. 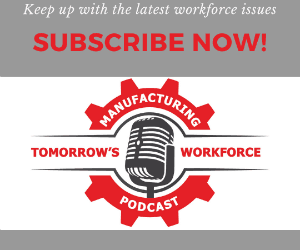 Here are some of the new ways business management solutions are connecting the many facets of manufacturing. Driven by Drug Supply Chain Security Act (DSCSA) mandates, manufacturers are looking for new ways to enhance their track-and-trace capabilities. Beefing up labeling solutions is one approach that companies can take to improve their supply chain operations. The TEKLYNX CENTRAL CFR 5.0 labeling solution digitalizes labeling operations by centralizing design, security, traceability and printing into one platform. The new solution integrates with existing ERPs and other IT business systems so that label files can be created using database-driven templates, minimizing the room for human error. The company’s new mobile printing app also allows end users to type in or scan a value, create return labels, and print from mobile devices. Antares Vision has designed new serialization software, called AVrs, for compliance according to DSCSA verification requirements. While managing serialization data flow to connect all distribution stakeholders, manufacturers and repackagers, AVrs provides efficient data management and compatibility with various hardware and software used throughout the supply chain — including other brand owners, CMOs and healthcare agencies. According to Antares, the establishment of shared standards for sales stream reintegration has become vital for the pharmaceutical industry. The company says that AVrs provides an interoperable solution used to manage the acceptance, formatting and delivery of requests and responses to support these DSCSA verification requirements, as well as other business data as defined by trading partners. “Together with compatible smart reporting and business intelligence solutions, the AVrs verification router service provides real-time shared information on service performance and traffic statistics, including mission-critical geolocation information and customizable analytics,” said Andrew Pietrangelo, president of Antares Vision North America. Manufacturers have long grappled with the issue of making early drug discovery and development more efficient as a way to drive down costs. Yet, despite the many years and millions of dollars that goes into drug development, the success rate for making new treatments remains low. “Among 30,000 compounds, only one may become a new drug,” says Brendan Brinkman, senior marketing manager, Life Science Microscopy Olympus America. According to Brinkman, developers are now looking at 3D modeling systems as a way to have an edge in the industry. Olympus’s new 3D cell analysis software, NoviSight, uses true 3D recognition technology with powerful algorithms to analyze a whole spheroid model in 3D down to the subcellular level. “The result is a valuable tool designed to help accelerate drug discovery research while offering the potential to save pharmaceutical manufacturers time and reduce costs,” Brinkman says. Olympus’ new 3D cell analysis software, NoviSight, uses True 3D recognition technology with powerful algorithms to analyze a whole spheroid model in 3D down to the subcellular level. As the industry moves towards the goal of end-to-end digital continuity, there is an ongoing need to improve data exchange capabilities between the many parties involved in manufacturing. With that goal in mind, the BIOVIA brand, Dassault Systemes, innovated its Discoverant Exchange solution to provide process development, quality, and manufacturing specialists with self-service, on-demand access to process and quality data from disparate databases via the cloud. These new capabilities can help reduce drug development time and costs. Tetreault says that the solution can be especially useful when partnering with contract manufacturers, which requires a second technology transfer to the CMO detailing the process parameters and quality attributes required to manufacture a product in accordance with specification requirements. “With Discoverant Exchange, organizations can share data through the cloud, either by directly exchanging Discoverant data or by transferring data to and from Excel. Digital continuity supports today’s industry trend towards increased externalization in pharma,” he says. New business management solutions help to minimize non-value-added manual tasks, which in turn reduces the risk of errors, and promotes broader transparency and process understanding. Ultimately, this will help bring better quality products to market and into the hands of patients.